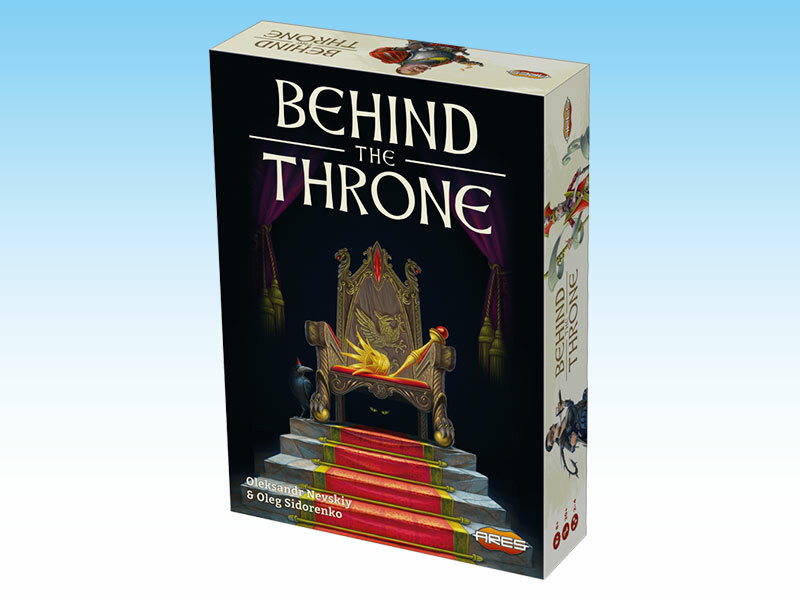 Behind the Throne, the new card game where secret organizations fight for power in the shadow of a royal throne, will be released next month. 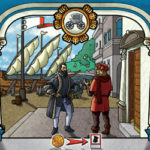 The game was designed by Ukrainian authors Oleksandr Nevskiy and Oleg Sidorenko, from IGames, known for games like My Happy Farm, Mysterium and Pirates of the 7 Seas. 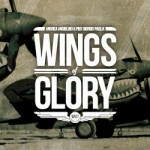 While awaiting the release of Behind the Throne, let’s meet them. Oleksandr Nevskiy, born in Chernivtsi, is 35 years old, and grew up in a family of artists. Graduating with degrees in Law and Psychology, he used to work at his family’s business before entering the gaming industry - first as a retailer, then as a game designer. He likes hiking, backpacking, archaeology, music, video and board games. Oleg Sidorenko is 35 years old as well, and has studied Philosophy. Before starting to work in game publishing, he worked in sales and in the manufacturing industry. He likes cinema and lists fishing, travels by car, and cooking as hobbies. Ares Games (Ares): When did you start playing board games? Which were your first favorite games? Oleksandr Nevskiy, co-author of the upcoming Behind the Throne. Oleksandr Nevskiy (ON): I think I played games all my life. In my childhood and youth I didn’t play a lot of board games, not because I didn’t like them, but because it was almost impossible to buy them in the Ukraine. We barely saw anything other than Monopoly and some classic card games. When a friend of mine bought Monopoly, it was something phenomenal. We played it all summer! I also had a few card games about animals and birds. Unfortunately, I can’t even remember their names. I just remember that players had to collect sets in those games, I can’t remember more details. I really liked to play them with my grandmother. She also taught me how to play checkers and chess. I liked chess more than checkers, but I wanted to personalize the figures more, to make them special. I ended up painting the figures with markers, drawing faces and arms, and making some characters with special rules. My parents weren’t so excited about these experiments with chess figures, and they told me so! When I was a teenager I went abroad and, during a trip to a foreign city, I saw a game from TSR in the toy shop; it was kind of an RPG style board game, I don't remember the name. At that time, I had just read the Lord of the Rings. I dreamed about it all week and begged my friends to get back there, but it wasn’t there anymore. Someone had bought it! Then a friend and I started to design a game. I saw such games advertised in magazines, and it seemed to me that I knew how everything should work. A few days later, my co-author lost interest in development and the project was closed. I suppose it was my first “serious” attempt to make a game. After graduation I got a board game called Ratrace in my hands. At that time, I was very fond of computer games. It was like a flashback, reminding me of my childhood, and I realized that I still liked to play board games as much as I did before. During the next trip to Hungary I had a specific aim to get to the toy store and buy Carcassonne. I had already tried it in its electronic version. At the time, I did not know much about expansions, I did not speak Hungarian, and the sellers did not speak English. Now, I understand they tried to explain me that they did not have the base game, but it was in vain. I left the store with the expansion Inns & Cathedrals, but I didn’t have the base game itself. Fortunately, I also bought Carcassonne: The Discovery. I was thrilled when we played it live. It was much more interesting to play offline than online. 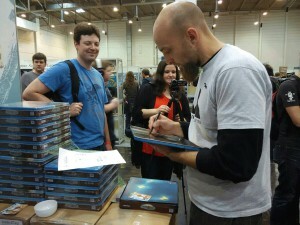 Oleg Sidorenk, with the games Pirates of the 7 Seas and Behind the Throne. Oleg Sidorenko (OS): Oleksandr acquainted me with board games about 8 years ago. And almost immediately he lured me into this business. My first favorite game was Citadel. 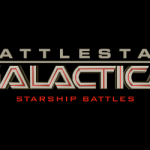 Later I spent a lot of time playing Battlestar Galactica. ON: It was when I come back from Canada, where I had lived almost a year. I brought a bunch of games back in my suitcases. My mother apparently decided that I fell back into my childhood. The desire to try to design something myself came almost immediately, but I made up my mind to do that for only a year. I thought it would be good to do something with the cultivation of various crops and seasons of the year. Then it came to mind, what to do with crops – we need to feed animals. And the main thing is cycling, as in real life - seeds, product and seeds again. This is how My Happy Farm was born. I made it in a month, with Oleg. As for the artist of this game (Leonid «deburger» Androschuk), we met him online by accident. After that, we worked with him on other projects and we are still cooperating. ON: It is my full time work. And I like it so much. My path to full-time game designer has been long and not easy. After graduation, most of the time I worked in leathercraft. It was interesting. I worked with my mother and she taught me everything. It was our family business. I’ve always wanted to develop games, but I thought it was impossible. In my early 20s I really wanted to develop video games, but, at that time, I thought it was only feasible if you were a programmer, and I was not interested in programming. Also, there weren’t actually any video game companies in my town at that time. So I lost hope. Then there was another step toward the game industry. My Happy Farm: the first game created by Oleksandr and Oleg. When I was in Canada I saw an announcement that a company which professionally tested game projects was looking for new workers. I thought I could do that, and tried to go further. But, unfortunately, my knowledge of English wasn’t so good. So I tried a different path. The first step was to open a small board game shop in the Ukraine, which started to earn money. I constantly pushed the idea to try publishing games in Ukrainian ourselves. By chance, while looking for new board game suppliers for our shop, we were offered the opportunity to localize their games. By the way, they found us with a help of Secret Santa at BGG. I think this is because we were one of the few Ukrainian board games retailers and there was hardly any information about the Ukrainian board game market. It was a difficult decision, because we had to pay for the publishing business with our on-line shop. At the time, we didn’t have enough staff and resources go in two directions simultaneously. Trying to make our own game was also a risky venture, but we tried. It was a real step toward the career of game designer. Then we were faced with another obstacle. Despite a population of 40 million, the Ukrainian board game market was almost inexistent, and it was really hard to keep our publishing business going. We worked on Mysterium and it was our last hope. If nobody would accept it, we had to look for another job, not related to games. But, we were lucky. 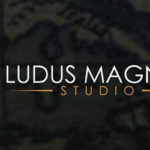 After the success of the game, I could afford to realize my dream, to become a game designer full time. At IGames, I was engaged in some other issues, such as working with artists and graphic designers, promotion, and other creative things like that. Now, I can concentrate more on game designing. This is what I’ve always dreamed about. And I like it so much! OS: No, it’s not my full time job, but I spend most of my time on board games publishing. But, of course, I can’t say that game designing is a hobby, it’s rather a part of my job. ON: It’s all together, but board and video games most of all. It is very important for the designer to follow all the things people are interested in at the present time. Sometimes I just go to watch a movie, to see the work of artists, and how they create the entourage and life of a fictional world. This is very useful for all my future work. OS: Games. Board games! Games of other authors: it is always interesting to learn new things. Now things are changing and it is interesting to examine that. ON: It used to begin with the theme, in the most cases. But, now it is more often the idea of some mechanics, and then you can feel what theme would suit it. As for me, mechanics are something like paints for an artist. With their help, you create a new world. OS: Probably there is no certain algorithm. Sometimes, while meditating about the theme of a game, almost immediately an idea of the mechanics most suitable for it comes to mind. And sometimes, there is an interesting mix of mechanics and theme into your head. Ares: You have created several games together. How does this partnership work? ON: Usually the basic idea comes to me firsty and I share it. Then, if it seems interesting, we make a prototype and test it. Sometimes it happens that the idea is much more interesting in the mind and not so exciting in reality. Oleg is in charge of the balance and mathematical component. He is very good at that. He has a special talent – he can give very detailed analysis even without playing the game or without making changes. And normally, he is absolutely right. Then we argue a lot, make lots of changes, get back to what was before, and so on, until we see that our testers want to play the game again. After that I begin to work with artists, and I am responsible for graphic design. Oleg writes all the rulebooks to our games and works with proofreaders. That is how it works. OS: I do not have any experience in the development of board games alone. Therefore, I have nothing to compare with. I think that joint development of board games is very useful. There is always the opportunity to discuss something, test mechanics. Sometimes your partner can come up with a decision much faster than you or his idea can be more elegant / simple / suitable! Mysterium : the success of the game was the turning point for the authors. ON: I always want to play. But, not all people around me share this aspiration! It so happened last year our game group almost ceased to exist entirely, due to different personal reasons. But recently, I met a player from another group in my town. They have the same situation. So, we started a new group. Now we play regularly, twice a week. When we test our games, we play several sessions every day. And it happens very often that the same game can be very different the next day. I love different strategies, not only developing and building, but also exploring. I am also delighted with co-operative games including a traitor. And, of course, various adventure games, but I still can’t find the best game of this genre. I am also a big fan of miniature wargaming. OS: I play board games very often: both at work and with my friends. Lately, I have started to love quick game with simple rules, i.e. fillers. ON: Yes, there are some of our games I like after publication. But as always, it depends on the people you play with. It always happens with board games. Even with single player games. 🙂 But if you have some extra time, of course you want to try something that other authors have come up with, it is always inspiring. OS: Not really. We make thousands of tests of our games from the beginning of our project until the final product goes on the counter, even if it is seemingly a simple card filler. We play our games hundreds times during different presentations and conventions. So, in my free time I often play games by other authors. 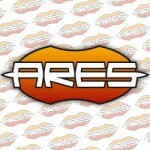 Ares: Looking to the games you have designed; do you have a favorite? Which one and why? ON: I think it’s Mysterium and Behind the Throne, although this is not surprising. I like very easy rules. In Mysterium the creative part and imagination help players sink into the gameplay and help each other. But there is no sure leader, as you can’t mathematically determine the best option. Besides, I like the theme. 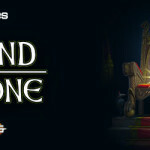 Behind the Throne is fast, random and clever at the same time. I like count chances, test luck and interaction. There is also room for diplomacy, when you try to convince a player to destroy a card of another player, but not yours, or propose swapping. OS: Each new project is always interesting. How will the press react? How will players react? These moments are always exciting. That’s why there is always more emotion for the latest project. Now, it is Behind the Throne. On the other hand, I can mention Pirates of the 7 Seas. I love this game for its easy gameplay, which combines with the brightness of emotions during each game. I also like Behind the Throne very much. There wasn’t a small game in my collection that can be played with geeks as an appetizer before or between sets to something heavy, which requires minimum efforts for setting up. Take it and play it. 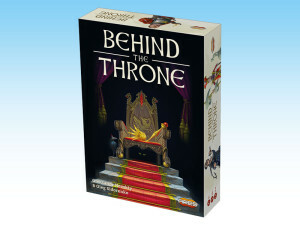 Behind The Throne, an engaging "push your luck" card game. ON: Yes, now I'm working on one project. It is the first attempt to create a game just by myself. It is at a very early stage, so I won’t tell any details. I had a few ideas for various projects that appeared at different times. And now, they all united organically in this project. Currently I test it by myself. Some content already exists as a draft. You can even finish half of the game, but I want to make the first full prototype as soon as possible to play it with friends. I am also working with Oleg on some projects in the universe of Mysterium. The expansion is going to appear soon. OS: No. At the moment I’ve decided to postpone this activity for an indefinite period. ON: Sometimes it’s very useful to go contrary to the trend - if everyone does something in some certain way, do it in completely other way. Take your best simple idea, which is easy to implant as a prototype and bring the development to the end. I am sure it will be something interesting. In addition, it's a great experience. Always fantasize and do not be afraid of trying something unexpected. Usually ideas that seem too strange in the beginning can make a revolution. This is what publishers are looking for. 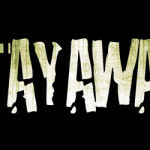 Remember, we all are waiting to play your game, so do not delay, work hard. First of all, make the game for yourself and always believe in your imagination!